For the first time this year, the S&P 500 closed down for the week on Friday.But the move was small. 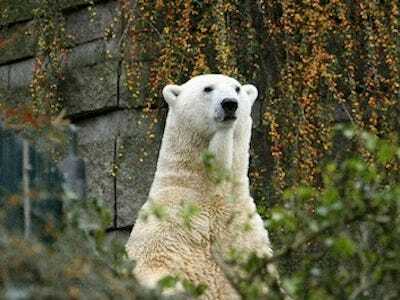 The S&P fell 4 points to 1,515. Meanwhile, analysts’ estimates for earnings growth continue to come down. 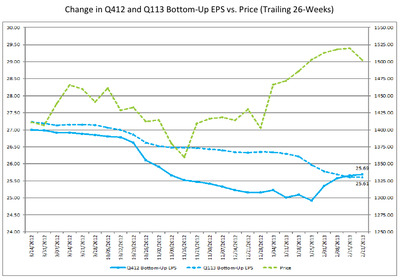 “Since the end of the fourth quarter (December 31), analysts have also reduced earnings growth expectations for Q1 2013 (to -0.2% from 2.4%) and Q2 2013 (to 5.0% from 6.5%),” wrote FactSet’s John Butters in a note published on Friday. Last week, growth expectations were -0.04 per cent for Q1 and +5.1 per cent for Q2. When stocks are flat or increasing while earnings come down, valuations are rising in a phenomenon called multiples expansion. In other words, stocks are getting more expensive. 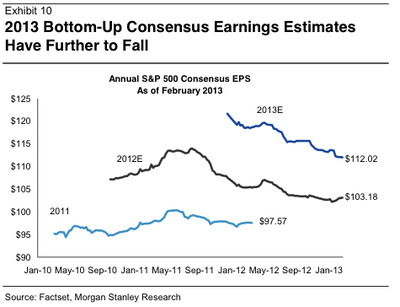 And the stock market bears who based their theses on falling earnings are struggling to reconcile this. 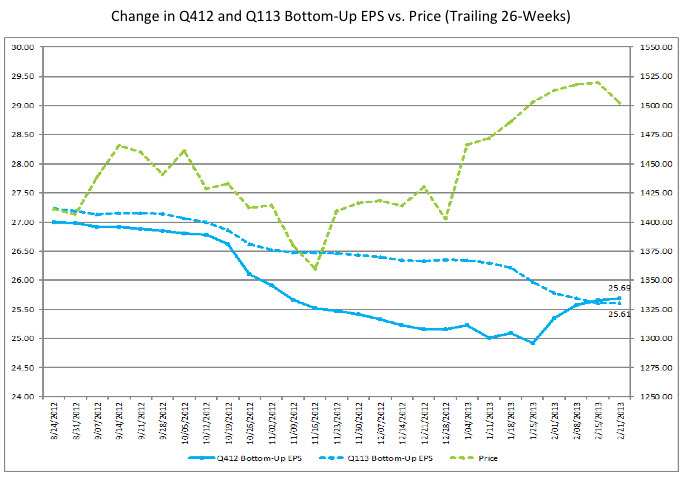 Here’s a chart from FactSet showing stocks and earnings growth expectations.